Facebook’s Sheryl Sanberg writes a touching, reflective and poignant post about the loss of her husband David Goldberg and learning to survive. She quotes a line from a Rabbi friend of hers “Let me not die while I am still alive,” which instantly resonated with me. If you have experiened the loss of a close family member you will understand that message. Losing a loved one can age you and also help you find meaning to your life and discover the true meaning of graditute she points out. Losing a loved one also provides you with a choice she writes. Either you can let emptiness fill your heart and live in a void, or find purpose. And I know about that choice and learning to leave that emptiness behind, and embracing a choice. It is very hard to do, but you learn to do it. I have lived thirty years in these thirty days. I am thirty years sadder. I feel like I am thirty years wiser…I have learned gratitude. Real gratitude for the things I took for granted before—like life. 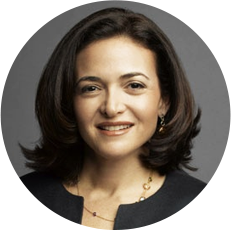 You can read Sandberg’s post here.